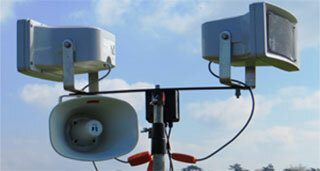 PA systems for Carnivals and Fetes come in all shapes and sizes. We can supply a selection of PA packages to suit everything from a small village fête to a large country show. Some can be battery powered and all can be supplied with a radio microphone at extra cost. We can also tailor our equipment to many different situations so if the exact package you require is not shown please contact us. Before you use our equipment to play music, please read this copyright information. The playing in public of copyright material by any means usually requires licences from both the Performing Rights Society (PRS) and Phonographic Performance Ltd. (PPL). No equipment whether hired or purchased from or through Showlite is licenced in advance to play such material. The hirer, event organiser or purchaser of the equipment must obtain or already hold the appropriate licences prior to using any hired or purchased equipment for this purpose. Please read Condition 17 of our Full Trading Terms and Conditions.